The Bloc Bar is a popover menu that lets you quickly and intuitively add additional pre-made sections (Blocks) to a page. It works similar to the Bric Bar, but rather than add Brics, the Bloc Bar adds larger pre-made layout sections. By default the Bloc Bar is a user interface element that is hidden and can be accessed by clicking the + button that is located in the center of the design canvas, when starting a new project. When a project has content, the Bloc Bar is then accessed by clicking on one of the two + buttons that are displayed at the top and bottom of the current selected Bloc. New Blocs added via the top + button, are placed above the currently selected Bloc and new Blocs added via the bottom + button are added below. Alternatively the Bloc Bar can also be revealed by simply pressing the + or – keys on your keyboard while a Bloc element is selected. If you are new to Blocs, we recommend reading this helpful post on how the Global Areas of a page work. Global areas can cause some initial confusion when first learning how the Blocs application works, but once you understand their purpose, it makes building a site with Blocs even faster. The number of rows shown within the Bloc Bar can be changed, allowing it to show up to 6 rows of Blocs at once. 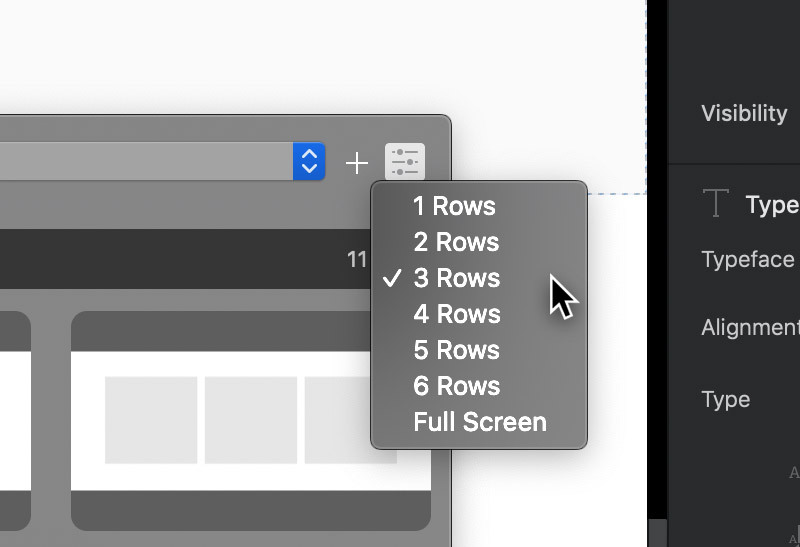 To set the Bloc Bars height navigate to the options button located in the top right corner of the main Bloc Bar popover and left click it to reveal the row count selection options.